Our "YOUTH" Volleyball League is a developmental league for junior volleyball players (4th, 5th, 6th & 7th Graders). The YOUTH volleyball league allows the individuals to have team experience while working on their primary skill set. This league is meant for players wanting to perform at a higher level of training than "rec or city leagues". Another focus of our league volleyball is to prepare them for their junior high school & Club volleyball tryouts. 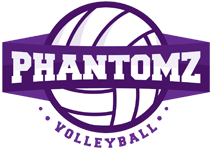 Please print off registration form and email to: ashley@phantomzvolleyball.com , or Text to 682-365-9955.